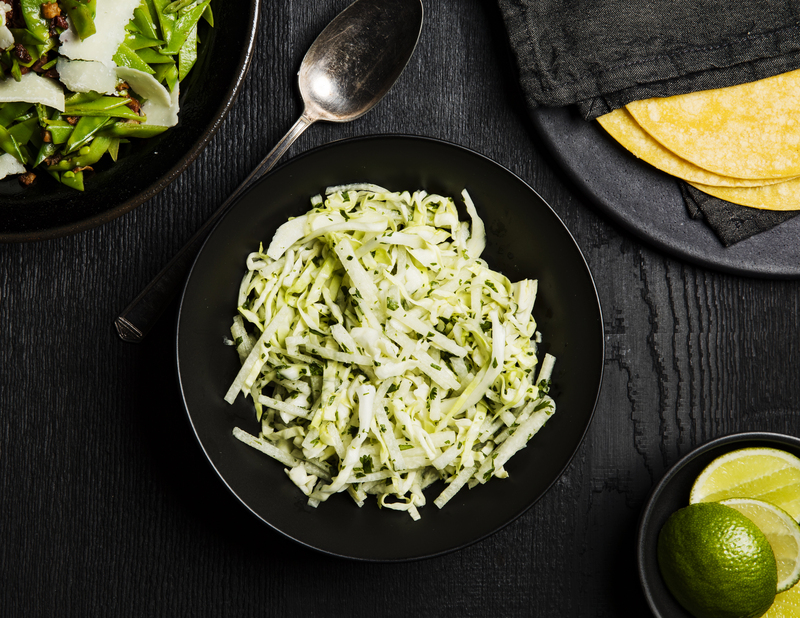 This simple, crunchy, fresh slaw is great with rich taco fillings like fried shrimp or fish. In a bowl, toss all ingredients gently but thoroughly. Taste and season with more lime juice or salt as needed.